You should constantly seek feedback from your residents to make improvements to everything from customer service to how they reserve amenities. According to Gartner, businesses that are successful at improving customer experience typically begin by collecting and analyzing customer feedback. If you want your residents to stay loyal, you must invest in their experience. And the best way to proper invest is by learning what needs improvement. When customers aren’t happy, 13% of them will tell 15+ people that they are unhappy, while 72% will share a positive experience with six or more people. 67% of customers mention bad experiences as a reason for churn, but only one out of 26 unhappy customers will complain. Be proactive and constantly seek feedback from residents. By frequently reaching out, the chances of reaching an unhappy resident increase significantly, which will allow you to directly address and resolve their issues, preventing them from going to their HOA board with their problems. 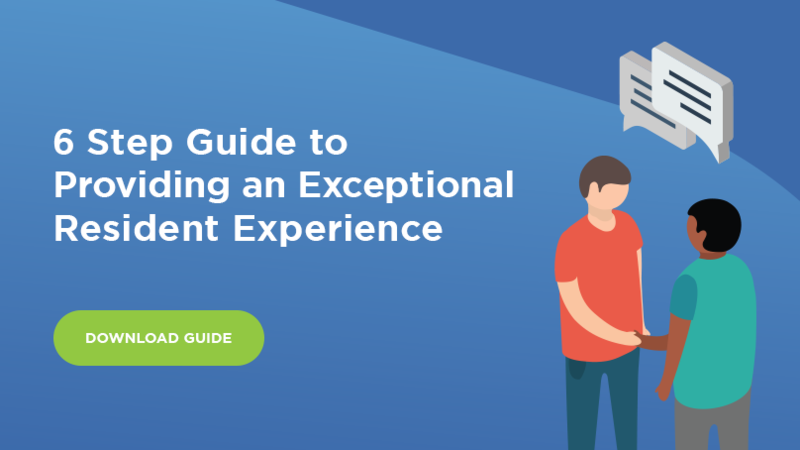 For tips on how to collect better feedback from your residents, download your free copy of our 6 Step Guide to Providing an Exceptional Resident Experience.